LAS VEGAS – Jan. 22, 2019 – Western Star’s most popular truck model has been updated with several new enhancements that make it lighter, safer, more productive and faster to upfit. The enhanced 4700 is on display for the first time at World of Concrete 2019 in booth #C5675. 4700 trucks and tractors can now be spec’d with the new Cummins X12 engine. This ultra-lightweight engine increases payload capacity, which boosts profitability for vocational customers. Weighing 2,050 pounds – which is up to 600 lbs. lighter than other medium-bore engines in the 10 to 13-liter category – the Cummins X12 contributes to enhanced productivity without compromising the power required for tough vocational jobs. And, front- and rear-engine PTO offerings enable more upfitting options, a benefit to both customers and body builders. The Cummins X12 engine, which delivers up to 1700 lb.-ft. of torque and 500HP, has a low-friction design that is well-suited for higher MPGs. It is compatible with a broad range of fully automatic, automated manual and manual transmissions, and has oil drain, filter and fuel filter replacement intervals that rival comparable engines. Another new option is the Detroit™ DT12™ automated manual transmission, which can now be spec’d for Detroit-powered 4700s. With features such as creep mode, hill start aid and a precise pneumatic shift and clutch control, the DT12 gives a smoother ride and reduces driver fatigue. The enhanced 4700 also has additional upfit-friendly improvements, including updates to the electrical system – such as the addition of a third Power Distribution Module – and improved interface connections on the back floor of the cab, as well as four new options for trailer connections. “The 4700 is a workhorse, and our customers want it to get on the job as fast as possible. That’s why we made the 4700 easier for body builders to upfit,” said Parlier. 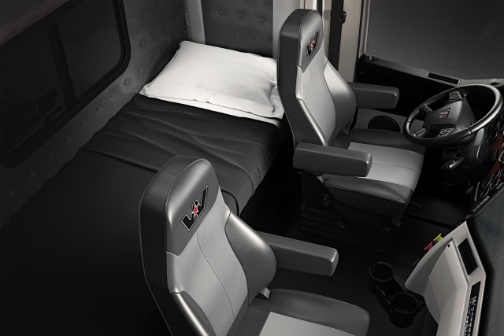 Renowned for its interiors, the inside of the 4700 has been refreshed to help drivers stay focused on the road and more productive throughout the day. Larger gauges on the instrument panel provide improved visibility, and a new LCD dash display delivers more information to the driver in an intuitive format. Four customizable LED indicators are available for body builders to keep the operator informed of various truck functions, data and alerts. The truck’s multi-function steering wheel offers the driver easy-to-reach access to cruise control, radio functions, phone controls and dash display menus. For the first time, the 4700 can now be spec’d with a 40-inch low or ultra-low roof StarLight sleeper. This additional space can be used for extra storage or fitted with a comfortable mattress. Several new features will keep drivers and others on the road safer. 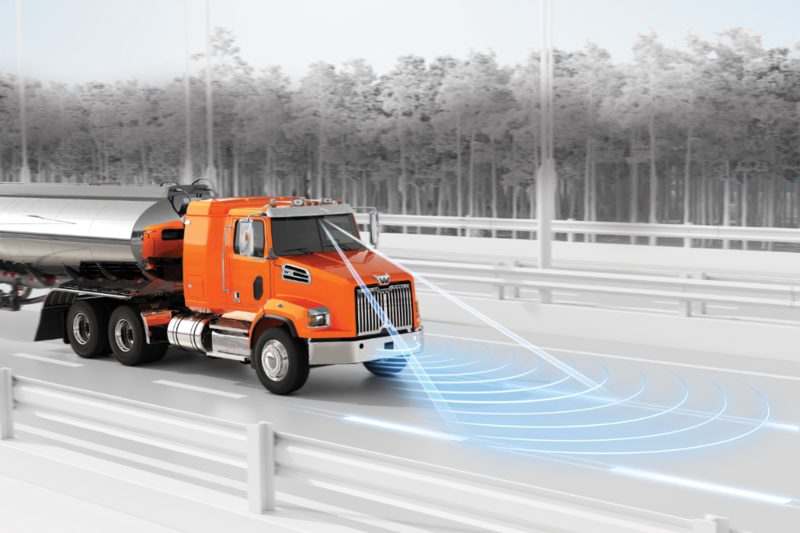 Wabco OnGuard uses a bumper-mounted radar unit to track vehicles and objects in the truck’s path, and then automatically applies the brake if the driver doesn’t slow the truck in time. Bendix lane departure camera tracks the truck’s lane position and provides audible warnings to the driver. For more information, visit booth #C5675 at World of Concrete 2019 or go to www.WesternStar.com. Cummins Inc. is a global power technology leader headquartered in Columbus, Indiana (USA). Cummins is a corporation of complementary business segments that design, manufacture, distribute and service a broad portfolio of reliable clean power solutions; including diesel, natural gas, hybrid, electric, and other non-traditional power sources. Established in 1919, Cummins serves customers in over 190 countries and territories around the world. More information can be found at www.cummins.com. 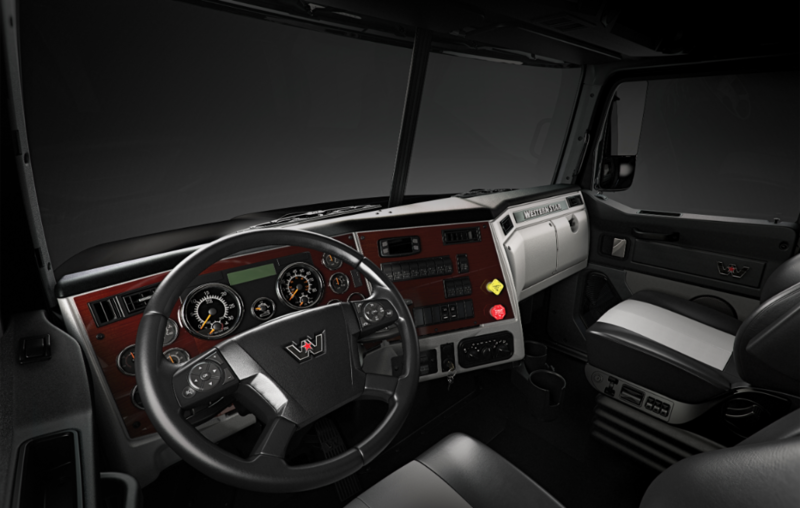 Download: The inside of the Western Star 4700 has been given a refresh to help drivers stay focused and productive. 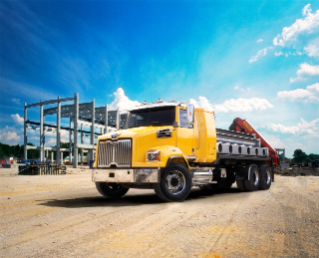 Download: Western Star’s most popular truck model – the 4700 – has several new features that add to its versatility and dependability. Download: The enhanced Western Star 4700 has additional space that can be used for storage or fitted with a mattress. 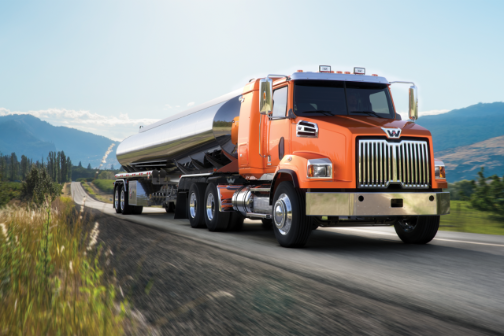 Download: The Western Star 4700 has more active safety technologies to help keep drivers and others on the road safer. Download: The Western Star 4700 has several new enhancements that make it lighter, safer and faster to upfit. Download: Cummins X12 Ultra Lightweight engine is now available for Western Star 4700 trucks.